Why Do People Use Goldthread? Orally, Coptis trifolia (Goldthread) and goldthread preparations like goldthread powder are usually utilized for leishmaniasis, digestive disorders, psoriasis and trichomoniasis. There is lack of authentic and reliable information regarding goldthread safety when utilized in adults in medicinal dosages. Possibly Unsafe for Infants - For newborn babies, goldthread powder is consider unsafe. The constituent of goldthread named berberine may cause adverse outcomes such as kernicterus in newborns, especially in preterm neonates with hyperbilirubinemia. Likely Unsafe for Pregnancy - Oral dosage of goldthread powder is considered unsafe for pregnant females. Berberine may cross the placenta and may cause harm to the fetus. In newborns, kernicterus has been reported when exposed to berberine. Initial studies recommend that maternal usage of Coptis trifolia in the first trimester may increase the congenital malformations risks of the central nervous system. Likely unsafe for Breast Feeding Females - Oral consumption of goldthread powder is consider unsafe. Berberine and various injurious constituents can be shifted to the newborn through breast milk. There is scarce information available to rate the effectiveness of goldthread. The most effective part of Coptis trifolia is the rhizome. It contains alkaloids like berberine, palmatine, coptisine, jatrorhizine, epiberberine, magnoflorine and groenlandicine. Clinical trials suggest that goldthread powder may repress bacterial sortase, which is a protein in charge of tying down gram-positive bacteria to the cell membrane. It has also been suggested that it may have reactions against the parasites Blastocystis hominis, Shigella flexneri and Trypanosoma cruzi. Goldthread may have anti-inflammatory and antioxidant activity. According to initial studies, topical application of goldthread may have reaction against inflammatory conditions of skin, for example, psoriasis. Clinical researches also recommend that goldthread maybe effective in treating gastric ulcers. Its berberine constituent seems to hinder discharge of gastric acid; however, goldthread seems to have different anti-ulcer characteristics in addition with berberine activity. In recent clinical studies it has been recommended that goldthread powder and its constituent (berberine) stops the production of tumor necrotic factor (TNF)-alpha and pro-inflammatory cytokines interleukin-1 by blocking nuclear factor- kappaB, which is the translation component in charge of cytokine generation regulation. Berberine has potential benefit in the treatment of alcoholic liver cirrhosis, which is related with enhanced levels of TNF-alpha and IL1-beta. Goldthread, especially its constituent coptisine, also seems to protect renal tubular epithelial cells from chemical damage in experimental studies. Goldthread powder may have activity against cancer. It seems to hinder the proliferation and growth of cancer cell, diminish angiogenesis and also decrease cancer gene expression. The constituent of goldthread jatrorrhizine seems to repress monoamine oxidase MAO-B and (MAO)-A. Berberine may decrease the activity of MOA-A. Clinical studies propose that goldthread may positively influence memory and learning skills. The important and effective constituent of goldthread is berberine. This constituent has the ability to improve heart rhythm, increase heart strength and decrease blood pressure. Initial studies also propose that berberine may enhance left ventricular functioning and diminish arrhythmia in patients with heart attack. It may also decrease level of LDL cholesterol and improve glucose level in the blood. Berberine may have antitumor impacts and may secure the liver against hepatotoxins. Berberine has antimicrobial impacts including antifungal, antibacterial, antiprotozoal and antimycobacterial activity. Berberine may help improve the activity of Streptococcus pyogenes, Staphylococcus aureus, Candida albicans, Shigella boydii, Vibrio cholerae, Escherichia coli, Mycobacterium tuberculosis, Microsporum gypseum, Trichophyton mentagrophytes, Sporotrichum schenckii, Candida tropicalis, Cryptococcus neoformans and Giardia lamblia. Clinical experiments suggest that it may be helpful for topical treatment of trachoma and burns issues, which is a very common reason of blindness in underdeveloped countries. Whether goldthread powder has clinical impacts similar to berberine is still unclear. What Are The Side Effects /Adverse Reactions of Goldthread? Oral utilization of Coptis trifolia and some herbs containing berberine, when used during lactation or in newborn and pregnancy may cause adverse outcomes such as kernicterus and number of other fatalities have been reported due to this reason. For safer usage of berberine, it should be utilized orally in adults in a dose of 2 grams daily and this practice should be continued for 8 weeks. Topical usage of berberine should be limited for as much as 20 days. How Goldthread Interacts With Other Herbs and Supplements? There is no interaction found between goldthread powder and other supplements & herbs. How Goldthread Interacts With Drugs? Cyclosporine (Sandimmune, Neoral) - Interaction rating between goldthread and drug like cyclosporine is moderate so be careful of this combination. Constituent of goldthread named as Berberine, can increase serum levels and decrease metabolism of cyclosporine. It may also repress cytochrome, which metabolizes cyclosporine. Cytochrome Substrates - Interaction rating between goldthread powder and cytochrome substrates is moderate, so be careful about this mixture. According to the clinical experiments, berberine might repress cytochrome enzyme. Till now this interaction has not been observed in human beings. So be cautious about increase in drugs metabolized by CYP3A4. There are number of drugs which are metabolized by CYP3A4 some of them are clarithromycin (Biaxin), lovastatin (Mevacor), triazolam (Halcion), sildenafil (Viagra), indinavir (Crixivan) and other drugs as well. Those patients who are taking goldthread should be cautious about this interaction. How Goldthread Interacts With Foods? There is no interaction found between goldthread powder and various food items. How Goldthread Interacts With Lab Tests? Bilirubin - Coptis trifolia may enhance bilirubin levels. This has been verified that berberine can result in increment in unbound and total bilirubin in the blood. This is perhaps due to the ability of berberine to displace bilirubin from albumin. How Goldthread Interacts With Diseases and Conditions? 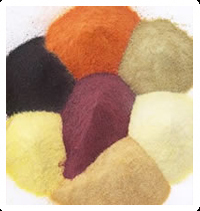 There is no known interaction between goldthread powder and various conditions or diseases. What Should Be the Dose/Administration of Goldthread? ORAL • There is no typical dosage of goldthread. • Generally, the dose of goldthread is 0.5 to 1.2 grams of the powdered rhizome. • As a liquid extract, one teaspoon of goldthread is boiled in one cup of hot boiling water and taken as a tablespoon for 3-6 times in whole day. Such liquid can also be used as a gargle and a mouth wash. • The tincture of goldthread is used as 5-10 drops at a time.